Transcripts and Captions: Do-It-Yourself or Outsource? Other posts for the series are listed at the end of this post. In this post, I’ll share some tools and resources for creating your own transcripts and captions. When you make the decision to create transcripts and captions yourself, time is your most important resource. Based on my experience, it takes 5-6 times the duration of your video or podcast to type in all the content for the transcript. You can type the content manually, use an online tool, or use an application. No matter what option you choose, plan for several iterations for proofreading and corrections. For creating transcripts for videos or podcasts, you can use automatic transcription/caption applications, desktop programs, or manually create the transcripts by listening to the video and type the words as you hear them. If you’re working with video, you also have the option to extract the audio into an MP3 file. YouTube Captions is free and easy to use. It uses voice recognition software to create captions, which means your results will vary, dependent on the speaking quality in your video. YouTube auto captions can be a good place to start for a first draft of your transcript, which you can then edit. When professional actors have been used in the video, I’ve had great results. Unfortunately, if people in the video don’t speak clearly, succinctly, or have an accent, you may not find the results acceptable. Amara, formerly known as Universal Subtitles, is a free online application, that is simple to use for creating a transcript and adding captions to videos. I’ve used Amara to add captions to the WordPress 3.9 and 3.8 announcement videos on WordPress.tv. Dictation (Google Chrome App) is another free application. You’ll need to have a microphone installed on your computer. Dictation is easy to use, but I’ve had poor results. You may find it to be a good alternative to get a reasonably good transcript. Dragon is a well-known dictation program available for both Mac and Windows. Priced at under $100 (US), the cost is relatively affordable. 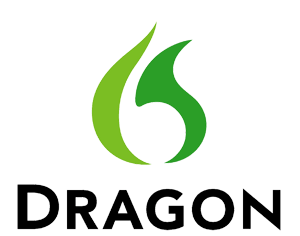 Dragon has been around for many years and produces better results than other automatic transcription programs since it can “learn” a person’s voice and create a custom voice profile. If you have Camtasia (free 30-day trial version available), import the video and export the soundtrack as an MP3 file (here’s a two-minute tutorial). Once you have the MP3 file, you can transcribe the audio manually or with automatic caption tools or voice recognition applications. If the video or podcast is short (less than 10 minutes), you may decide to create the transcript manually by typing the words as you listen. I’ve discovered it’s easiest to play short segments, pause to type in the words, and then start the video/audio again. It can be challenging to get all the words correct in the first pass. I focus on the words in the first pass, then add speaker names, punctuation, and descriptive content in subsequent passes. For podcasts, once you’ve completed the transcript, you can upload the text from the transcript file to the page where your podcast is hosted. Many people place the trancript after the podcast. Here’s a good transcription example from User Interface Engineering. Include speaker names, if more than one person is speaking. Example: Michael: Then he has the ability to qualify. If the person is speaking off-screen, include their name in parenthesis. Once you have a finished transcript for your video, you’ll upload it to the video hosting site, YouTube, Vimeo, etc. or to Amara, for synchronizing and editing. Each site has a different interface for synchronizing the text to ensure it matches what’s being said in the video. I spend a lot of time synchronizing and editing the transcript to ensure the timing is correct. YouTube can do automatic syncing for you and will do it’s best to synchronize the words to the video, but I’ve always gone through it a few times to refine the timing. If you’re using Amara for creating transcripts, you can easily synchronize and edit after the transcript has been created. And if you’ve connected Amara to your YouTube account, the finished transcript is automatically synced to your YouTube video. Hopefully this post provided you the information for creating transcripts on your own. Questions? Ask them in the comments. Transcripts and Captions: Do It Yourself or Outsource?